Laing O’Rourke has signed a construction contract for the steel-framed Soho Place development in central London. 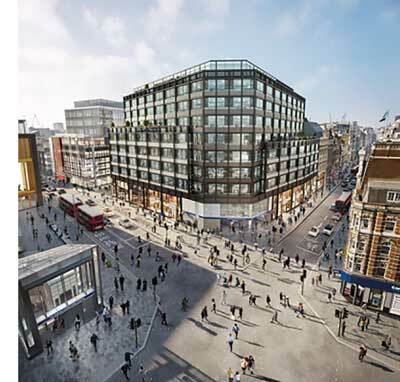 Soho Place is a mixed-use scheme above the new Tottenham Court Road Crossrail Station. It will comprise a 10-storey building with retail and office space, coupled with a nine-storey building split into three offices above a 600-seat theatre, the first to be built in the West End of London for over 50 years. Appointed preferred bidder in July 2018, Laing O’Rourke has been delivering enabling works for the project. It has now officially started on main construction with the team concentrating on some challenging piling above and around the web of services and tube lines that sit below the site. BHC will be fabricating, supplying and erecting the project’s structural steelwork. The development is due for completion in November 2021.